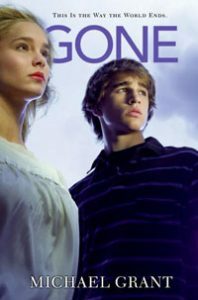 Here are some books you might enjoy if you like the Gone series and action/adventure books for young adult. Locked in an asylum for her refusal to let her parents dictate her afterlife choices, Ten Lockwood finds herself caught in a violent power struggle between the two leading Everlife realms that would do anything to claim her powerful soul. In a future world where those between the ages of thirteen and eighteen can have their lives "unwound" and their body parts harvested for use by others, three teens go to extreme lengths to uphold their beliefs—and, perhaps, save their own lives. View more suggestions for Gone.